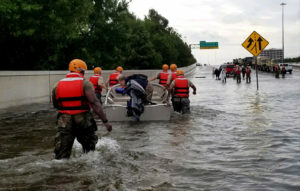 August 25, 2017, Hurricane Harvey plummeted the coast of Texas pouring down almost 52 inches of rain on the Houston area and causing more than $180 billion worth of damages. The American Red Cross, doing exactly what they are known and relied upon to do, quickly deployed hundreds of volunteers providing food and shelter to thousands of displaced Texans. As the days progressed, the damage multiplied. And soon the amount of available assistance wasn’t able to keep up with the increasing demand. Because the Red Cross is a life line for so many helpless individuals, they had to quickly figure out a solution. The Red Cross decided to engage our services as we are an AWS Partner Network (APN) partner and an expert in the implementation of Amazon Connect. Amazon Connect is a self-service, cloud-based contact center service that’s based on the same technology used globally by Amazon customer service associates. Within 48 hours, a new call center was in operation, and Amazon employees were taking calls for three of the hurricanes and geographical areas. This helped supplement the usual Red Cross volunteer call centers. When the peak volume of calls subsided two weeks later, the Amazon call center was de-provisioned. 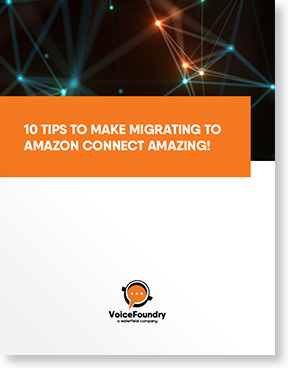 Continue reading about how a call center that would normally take 4-5 months was put together almost overnight thanks to the dream team of VoiceFoundry, the Red Cross, and Amazon.